After giving birth, even the most confident, fit, and spiritually centered women can feel depressed, overwhelmed by the responsibilities of motherhood, and disheartened by their plump postpartum bodies. Erin Cox knows exactly how they feel. 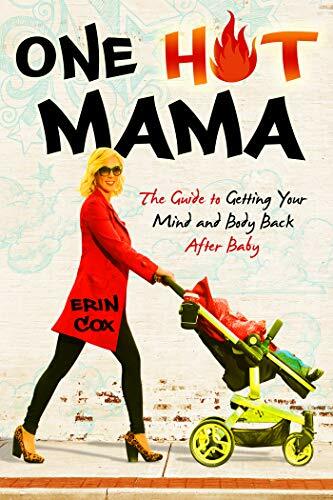 She wrote One Hot Mama as a comprehensive guide to support, nurture, and steer women through a fun and completely doable process to lose unwanted pregnancy pounds and create an exceptional life. Erin understands that weight loss is an emotional process, and new mothers need to feel empowered and supported to make healthy lifestyle changes. New moms don’t have the time or energy to count calories, but rather need guidelines and easy-to-implement suggestions on how to improve their diet and exercise routines. Using a realistic approach that has proven to be effective, mothers will be encouraged to make positive life changes that will encourage weight loss, positive thinking, and self-love. Women who read this book will not only feel empowered and invigorated to get their bodies back in shape, but the positive changes will impact every single aspect of life—allowing them to live a joyous and fulfilled life as a woman and mother, even emerginghappier and healthier than before getting pregnant!